The Open Educational Practices in Scotland (OEPS) Project conducted a survey to find out about the level of awareness of open educational resources (OER) and open educational practices (OEP) among college staff in Scotland. In total 236 valid responses were collected in a seven-week period from February 1st, 2016 to March 20th, 2016. The survey was distributed in 24 Colleges, and responses were obtained from 16 of them. However, most respondents came from 5 institutions, making unadvisable any conclusion that these results are necessarily representative of the sector as a whole. The full interim report is available for download following this link. We have also shared the anonymised survey data under a CC BY license on FigShare. The infographic below highlights some of the survey results. 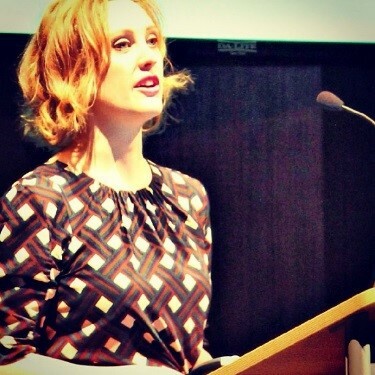 Using OER: What does Best Practice Look Like? We kicked off the hour long sessions with an introductory warm up activity to gauge both where people, in the context of their role, thought they were “at” in terms of sharing, creating and supporting others in the use of OER. On a sheet of paper with high and low written along an axis participants talked about what kinds of things they did, or would like to do, for each type of activity, before self-assessing where they thought their level of participation was on the scale. It was interesting to note that often people were modest in their assessment of themselves, with other members on their table deeming them to be more involved in sharing, creating or supporting others in the use of OER than they first thought! This activity, which is an adaptation of an activity devised by Catherine Cronin and which we’ve used for other workshops, was a great way to start the session, facilitating introductions and synergies across people’s experiences and contexts. It also set the scene for the next activity, where we asked people to identify and discuss what issues and challenges prevented them from moving ‘higher’ up the scale. Were others in the group able to offer possible solutions? What kinds of activities did people consider best practice? Sharing possible solutions and ideas and unpacking concerns enabled participants to think about what kinds of practice they found useful and what might help others. The results from both groups are summarised below. 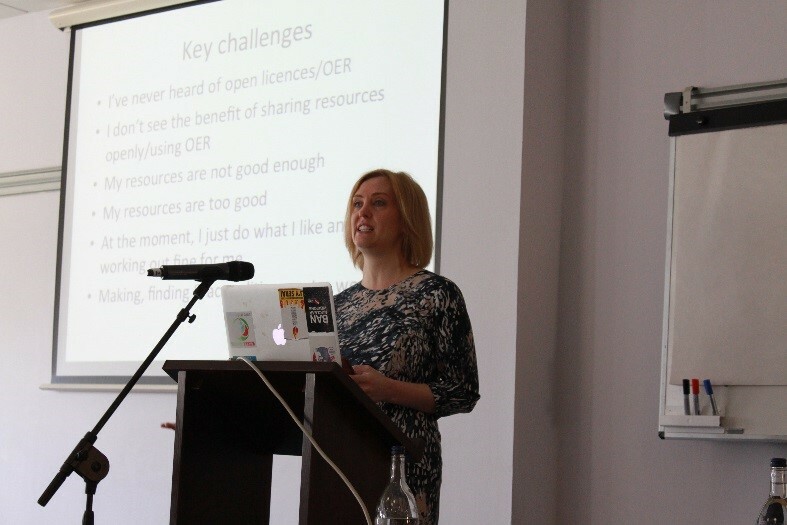 Whilst research councils and funders often mandate open licensing, there is no similar demand or support for learning and teaching staff to share material openly. Who is responsible for keeping up-to-date on legislation and acting as a go-to source for information in an institution? Is it educational technologists? Librarians? Or is it part of one’s own professional development, even though it might not be recognised as such? Do people like to reuse material they haven’t created themselves? Repurposing materials gives a sense of ownership but how granular do you go? Time can become an issue. How do you find the best resources? There is a need for metatagging material so that it is easier for people to find and reuse but how often, and how consistently, does this happen? Some people are using open materials, without realising they are OER. Here is a summary of participant recommendations, which I’ve loosely grouped together and summarised. There are lots of great resources out there to help explain how to make resources open, or how to use OER. For example Creative Commons have some great videos that explain licence types clearly… Use them and share them with colleagues! If you don’t have a policy at your institution or organisation, lead the way in terms of practice! Use Slideshare and blogs to share materials on an open licence. Remember resources don’t have to be perfect! Being more open in your practice facilitates and enables one to keep control of one’s own academic identity better, especially when posts are becoming more casualised. Ensure policy is enabling and reflects practice. The session ended with a reflective final question where people were asked what they would do to change their practice in the next few days with shared responses including raising institutional policy at one’s own organisation and talking about #OEPSforum4 with colleagues. If you participated in workshop B at #OEPSforum4 … Thank you! We’d love to know how you are getting on or if you have any suggestions for how to address the challenges and issues raised by participants. If you weren’t at the #OEPSforum4, do these issues and challenges resonate with you? What kinds of best practice ideas and solutions would you offer in response to the challenges and issues raised above? With thanks to Anna Page for her notes on this session, which were incorporated into this post.